"Mayors say Texas, U.S. politics increasingly undermine city needs" was first published by The Texas Tribune, a nonprofit, nonpartisan media organization that informs Texans — and engages with them — about public policy, politics, government and statewide issues. Editor's note: This story was updated on March 14 to add information about the nonpartisan nature of city elections. As some mayors continue to look at the new presidential administration with trepidation, their brewing battle with state leaders will play out on multiple fronts this week as several controversial local control bills are debated in the Texas Capitol. Lawmakers from both chambers will vote on or hear testimony about the controversial “bathroom bill,” ride-hailing regulations, anti-"sanctuary" bills, short-term home rentals and legislation that would limit how much property tax revenues local entities can collect without an election. Partisanship isn’t the only factor, and it isn’t always at play. While city officials may make their political leanings publicly known, local elections in Texas are not conducted by party affiliation. But partisanship undoubtedly contributes to the divergent opinions. Most big cities and their leaders (though not all) tend to be Democratic. Meanwhile, the White House, Congress and the Texas Legislature are all controlled by Republicans. Adler, Rawlings and Turner fear that the “bathroom bill” will repel companies, conventions, tourists and even potential new residents. Texas lawmakers in support of the bill have said there's no evidence that the bill will be bad for business in the state. Adler, Price, Rawlings and Turner also worry that amid all this, Senate Bill 2's new property tax rules would hamstring their ability to provide essential services while saving the average Texan just a few dollars a month. Price also thinks that state lawmakers often try to solve isolated problems with sweeping bills that have unintended consequences. She also doesn’t think that the conservative-controlled Legislature should look at metropolitan areas as hotbeds of political opposition. She is excited about some of Trump's plans, particularly his intent to increase infrastructure investments and defense spending. And, after all, her city anchors the country’s most conservative urban county. After 13-plus hours of emotional testimony, largely in opposition, the Senate State Affairs Committee voted 7-1 to advance the so-called Texas “bathroom bill" — a legislative priority of Lt. Gov. Dan Patrick. Mayors say Texas, U.S. politics increasingly undermine city needs By Brandon Formby March 13, 2017 Editor's note: This story was updated on March 14 to add information about the nonpartisan nature of city elections. DALLAS — It began with a wave of state legislation taking aim at city ordinances and policies involving issues like anti-discrimination rules, property tax collections and ride-hailing regulations. Then came newly elected President Donald Trump’s initial ban on travelers from seven countries that led to the detainment of several people at Dallas/Fort Worth International Airport. 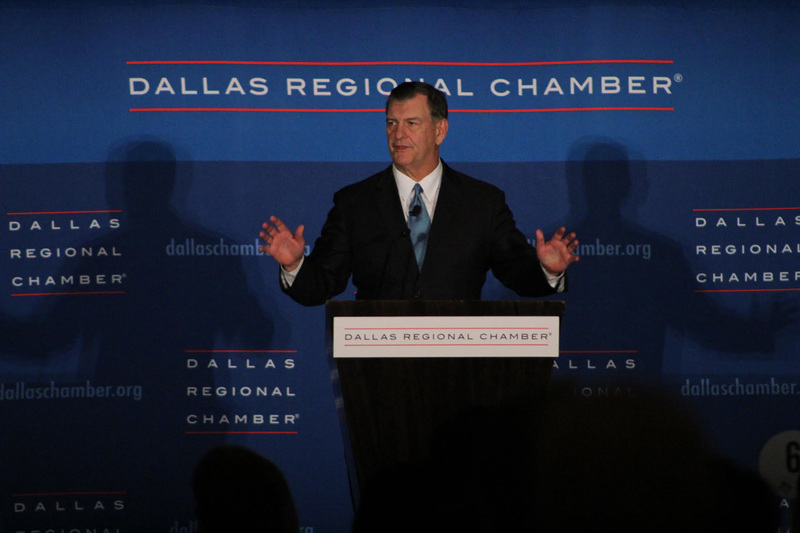 At news conferences and before scrums of television cameras, Dallas Mayor Mike Rawlings derided several of those state and federal initiatives that he said could undermine his city’s already troubled economic health and belie Dallas’ diverse and accepting personality. The second-term mayor, who is a Democrat, swears he’s not suddenly trying to insert himself into state and federal politics. “But what I realize is the fight is coming more to me and coming more to the city,” Rawlings said. That has become a common refrain among urban mayors across Texas and America, who feel that officials in higher levels of government are increasingly passing budgets and laws that tear at the economic and social fabrics of big cities. Much of the tension in Texas centers on disagreements over what “local control” means — and who should have it and when. City leaders across the state say it should mean leaving as much power in their hands because they are closest to the issues affecting Texans. “They elect us to make those decisions, and we need the flexibility to be able to govern our cities,” said Fort Worth Mayor Betsy Price, a Republican. State Rep. Jeff Leach, R-Plano, says that Texas created its cities so state lawmakers should be able to "rein them in" when they overstep bureaucratic boundaries. Bob Daemmrich Texas legislators, though, often point out that the state created and decided what powers to give its local governmental entities. They argue that it’s their responsibility to protect constituents from cities that overstep bureaucratic boundaries or enact rules that lawmakers deem to be infringements of liberty. 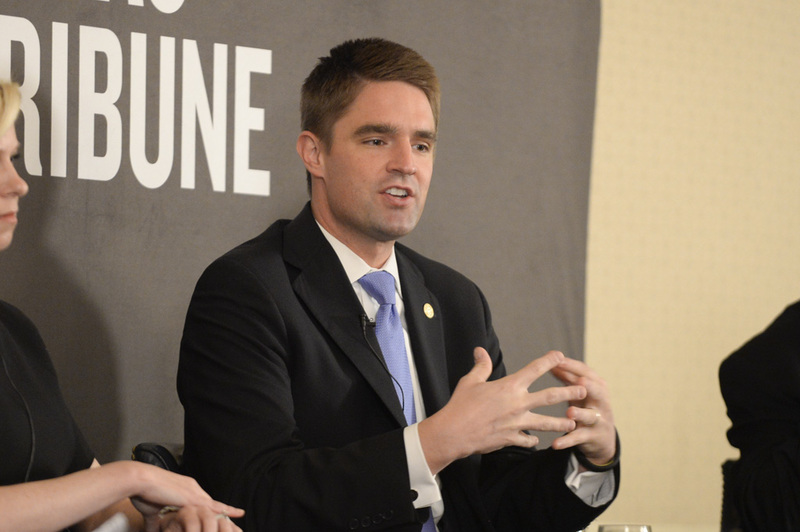 “When cities or political subdivisions go outside those boxes, we have an obligation to rein them in,” State Rep. Jeff Leach, R-Plano, said last month at a meeting of the Texas Lyceum. As some mayors continue to look at the new presidential administration with trepidation, their brewing battle with state leaders will play out on multiple fronts this week as several controversial local control bills are debated in the Texas Capitol. Lawmakers from both chambers will vote on or hear testimony about the controversial “bathroom bill,” ride-hailing regulations, anti-"sanctuary" bills, short-term home rentals and legislation that would limit how much property tax revenues local entities can collect without an election. “It’s like the state trying to be the mayor and city council,” said Houston Mayor Sylvester Turner, a Democrat. Does local mean cities or states? Houston Mayor Sylvester Turner says that Texas lawmakers should be weary of hamstringing cities that he says are the economic engines of the state. Bob Daemmrich for the Texas Tribune Brooks Rainwater, an executive with the National League of Cities, an advocacy group, said that it used to be commonly accepted that local control meant municipalities should decide many issues for themselves. “This used to be something that was much more commonly believed across the political parties,” Rainwater said. That began to change about a decade or so ago, he said, and there’s now a growing school of thought that local control means letting states decide issues. “Texas is a perfect example,” he said. Partisanship isn’t the only factor, and it isn’t always at play. While city officials may make their political leanings publicly known, local elections in Texas are not conducted by party affiliation. But partisanship undoubtedly contributes to the divergent opinions. Most big cities and their leaders (though not all) tend to be Democratic. Meanwhile, the White House, Congress and the Texas Legislature are all controlled by Republicans. Rainwater said the increased polarization of politics, Americans self-sorting themselves geographically into big cities or suburban and rural areas, and lawmakers drawing their own districts have helped the chasm widen. “So the politics don’t line up between what’s happening in the cities and at the state level,” Rainwater said. That infuriates Turner, the Houston mayor. He spent decades as a state representative before taking his city’s top post in 2016. He said that for many years, even his colleagues across the aisle thought of local control as meaning cities could largely decide issues for themselves. “If it is your conviction, then that doesn’t change with time, it doesn’t change with the wind, it doesn’t change with the personalities,” Turner said. Economic engines Austin Mayor Steve Adler worries that the state's "bathroom bill" could impact his city's economy. Shelby Knowles for The Texas Tribune Much of Texas mayors’ frustrations with higher levels of government has to do with economics more than anything. More than half of the average monthly number of Texas jobs during the third quarter of last year were located in the state’s five biggest urban counties, according to the Texas Workforce Commission. And big-city mayors are quick to point that job concentration out. 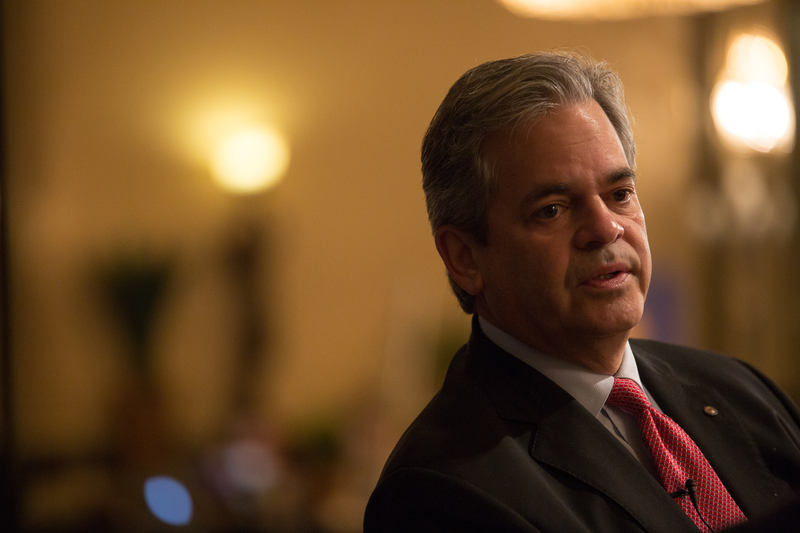 Austin Mayor Steve Adler fears that a bill pre-empting his city’s ride-hailing regulations will hurt the innovation he said the free market has shown as new nonprofit companies have filled a void left by Uber and Lyft. Adler, Rawlings and Turner fear that the “bathroom bill” will repel companies, conventions, tourists and even potential new residents. Texas lawmakers in support of the bill have said there's no evidence that the bill will be bad for business in the state. Adler said his city’ reputation for being an accepting city helps it draw corporations that provide residents jobs and the city and state tax revenues. “They’re here in Austin because the people they want to have work for them want to live in Austin, Texas,” said Adler, a Democrat. Dallas Mayor Mike Rawlings fears that President Donald Trump's approaches to immigration and trade could hurt the economy. Brandon Formby Rawlings and Turner, meanwhile, are weary of several federal measures coming from the White House and working through Congress. They feel the repeal and replacement of the Affordable Care Act will leave constituents without health care, putting more financial stress on county hospitals. Turner also worries about what a potential cut to the federal Housing and Urban Development budget will mean for affordable housing in his city. And Rawlings fears that Trump’s attempts to tackle immigration and alter international trade pacts could have a chilling economic effect in Texas. Adler, Price, Rawlings and Turner also worry that amid all this, Senate Bill 2's new property tax rules would hamstring their ability to provide essential services while saving the average Texan just a few dollars a month. “You cannot choke local governments like cities and expect the state to thrive,” Turner said. “We are the economic engines of the state. If you turn off the engine, you may as well put up a sign that says, ‘The state of Texas is no longer open for business.’” But backers of the legislation say it is key to providing relief to property owners in Texas. 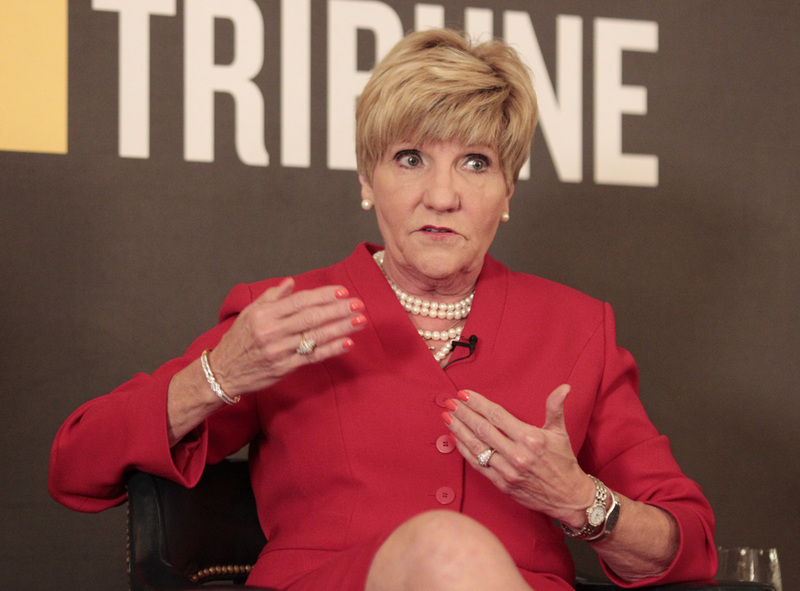 Diversity and division Fort Worth Mayor Betsy Price is a Republican, but she doesn't always agree with conservative lawmakers on local control issues. Bob Daemmrich Price also thinks that state lawmakers often try to solve isolated problems with sweeping bills that have unintended consequences. She also doesn’t think that the conservative-controlled Legislature should look at metropolitan areas as hotbeds of political opposition. She is excited about some of Trump's plans, particularly his intent to increase infrastructure investments and defense spending. And, after all, her city anchors the country’s most conservative urban county. “It’s always interesting when they start painting every city with the same brush,” Price said. Like officials from several small towns and big cities, Price will be in Austin testifying on bills that are before lawmakers. And while Leach, the Republican state representative, and scores of his colleagues defend their approaches to local control, he acknowledged last month that the tension has grown palpable. “It’s unfortunate it’s become so divided,” he said. Read more of our related coverage: As budget writers and lawmakers eye billions in voter-approved highway money for other matters, transportation officials are touting high-profile projects that will benefit from those funds. After 13-plus hours of emotional testimony, largely in opposition, the Senate State Affairs Committee voted 7-1 to advance the so-called Texas “bathroom bill" — a legislative priority of Lt. Gov. Dan Patrick. Disclosure: Steve Adler, a former Texas Tribune board chairman, has been a financial supporter of the Tribune. Uber and Lyft have also been financial supporters of the Tribune. A complete list of Tribune donors and sponsors can be viewed here. "Mayors say Texas, U.S. politics increasingly undermine city needs" was first published at by The Texas Tribune, a nonprofit, nonpartisan media organization that informs Texans — and engages with them — about public policy, politics, government and statewide issues. Link back to the original article, which is located at https://www.texastribune.org/2017/03/13/mayors-say-texas-us-politics-increasingly-undermine-city-needs/.